The following how-to post assumes that your startup has a product to sell and enough customer activity to warrant its tracking and management. If you do not yet have a product or any customers, bookmark this post for later when you’re ready to take advantage of CRM software. Before you purchase any CRM software, you must first develop a framework for your customer journey. This framework should outline the decision points in a customer lifecycle from contact to lead to deal to active customer, and all the smaller decisions points in between. In order to develop your customer journey, you’ll need to speak to current customers and map out the different decision points in their process for deciding to use your product. At this point in your lifecycle, this is best done with pen and paper, although software like TechValidate can be helpful. Leads are known potential customers, which you may or may not have relationships with yet. A collection of leads is sometimes referred to as an outbound database or a prospecting database, and this is often stored in or integrated with the CRM. 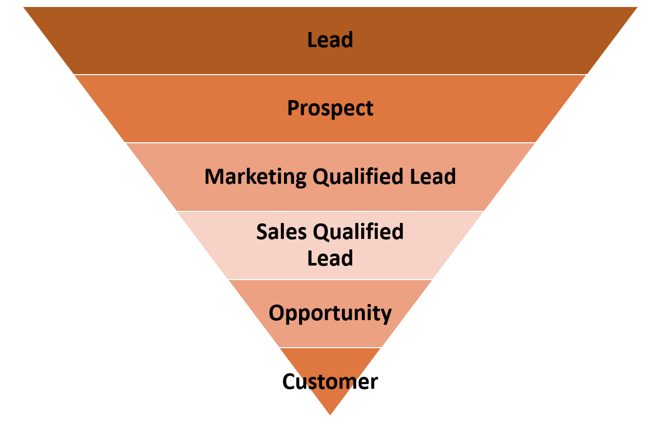 Prospect is another commonly used word for lead, although in some sales funnels, prospects are defined as one step closer to becoming a customer. When companies distinguish between leads and prospects, they usually do so by noting that prospects have communicated with or responded to a salesperson (for example they may have responded to outreach to schedule a call). While leads have not necessarily interacted with your company or product, a “Marketing Qualified Lead” is a lead that has completed some action that indicates interest in your product. You need to define this action, but common examples are long / frequent website visits, filling out an online information form, attending an event, downloading or requesting a white paper or clicking on an advertisement. Not everyone who engages with you is a Marketing Qualified Lead - you’ll need to define what those parameters are based on your products. An example would be if you only offer a product in the U.S., but someone with an international IP address downloads your white paper, this action, although indicative of intent, fails the qualified part of the definition. Sales Qualified Leads are those leads that have high intent to purchase. They have expressed a desire to purchase your product by requesting a live demonstration, quote or to speak to a salesperson. A Sales Qualified Lead becomes an Opportunity once the sales process confirms both qualification and intent to purchase. Assuming that the lead is qualified at this point, it becomes an Opportunity. This is the final phase before becoming an active customer. Not every sales cycle or product will follow this exact formula and funnel. While each process has its own unique set of steps, most software, hardware and services will follow a similar path. It is incumbent upon you, when setting up your CRM, to map these decision points out, as well as their potential outcomes - primarily the reasons, at each step, why a lead may not continue in the process. Rarely does a company have one monolithic customer type. B2C companies have target customers that differ by age, affluence, geography, technological sophistication, mobile operating system, online activity and countless other attributes. Similarly, B2B companies target customers across size ranges, tenure, geography, industry, technological sophistication, online presence and legal entity type, among others. As a result, it is often a mistake to treat each customer the same in terms of a sales / CRM process. If your product supports self-signup, you may find some customers want to signup on their own while others want to speak to Support or to Sales. This is a common form of segmentation between customers. Another common point of differentiation is that some customers are switching from a similar product, while others don’t have any competing service in place at all. 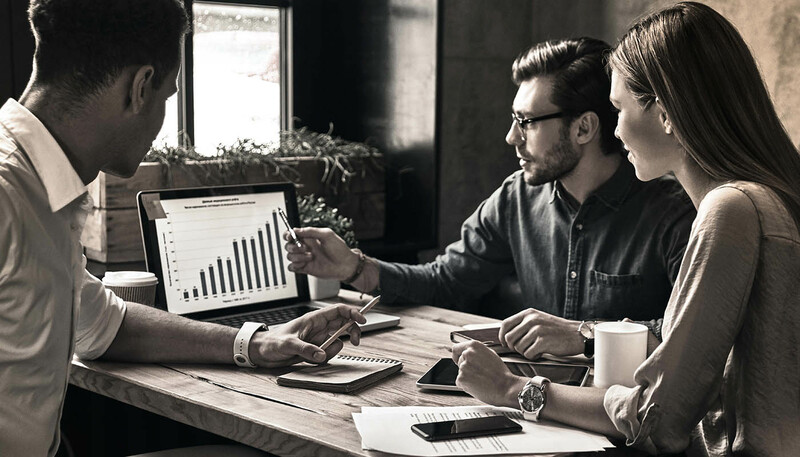 Regardless of the specifics, spending time determining the relevant differences in your potential customer base and how that impacts how you sell to them is critical before setting up your CRM. There are a number of great SaaS options for startups today. A good place to start your search is looking at the software you’re either already using or that you or someone on your team has used before. Often times startups use Zendesk for customer service or Hubspot for marketing attribution and campaign management. If that is the case for your startup, both of those software suites include a CRM (Zendesk bought Base CRM in September 2018). You may consider this existing software for your CRM due to both convenience, as they could be already implemented, and their lower cost, as using them could be free or just a small monthly user fee. If no one on your team already has a CRM preference, you are not already using a software platform with an embedded CRM, or you’d like to purchase a separate CRM from existing software, the most popular among Brex customers are Pipedrive, Salesforce Essentials, and Copper (formerly Prosperworks). All three are good options. Some users love the “native” integration between Copper and G-Suite (similar design principles and you can use Copper without leaving Gmail for example), while others like the simplicity and cost effectiveness of Pipedrive. Note that a common complaint about Pipedrive is that it can feel like a solution better suited for SMBs than for startups, and that its email integration only lets you associate one email address to a deal. Copper gets complaints for the lack of customization of its reporting and for being expensive. Salesforce Essentials is the cloud company’s cheaper offering targeted to both small businesses and startups. At $25 per user per month, it’s more expensive than other CRMs targeted for startups, but it has a full feature functionality in terms of reporting and comes with customer support tools. As a Brex member, you get a 25% discount on your first year (3 months free). While a cheaper version of Salesforce is great, Essentials has a five person user limit, so you may quickly find yourself needing to upgrade to a more expensive version. Essentials is built on the broader Salesforce platform, which is the most popular CRM globally, so once you’re ready, you can seamlessly upgrade to a more robust version. Migrating from one CRM to another is a painful undertaking, which often takes engineering resources, so it’s wise to choose a platform that’s scalable for the future. In an effort to provide transparency to startups navigating the same decisions as we did, we are sharing our own experience. This is not an official endorsement of any decision path or product decision. Brex set up its first CRM (Base, now owned by Zendesk) during its private beta. Brex wanted to use the data captured by its CRM to understand more about its customer decision process (timing, complexity, number of outreaches) and to help determine whether or not its offering had obtained product-market fit (strong lead conversion to sale is a good indicator). Brex integrated this software with its first lead attribution software, Hubspot. Using the data from Base CRM, Brex mapped out the sales process during its private beta and used this data to determine which customers to target for self-signup and which to target with an outbound salesforce. After launch, Brex hired a Chief Sales Officer who was both fond of and familiar with Salesforce. In particular, he recommended its reporting, scalability, integration depth, and familiarity among sales management. As a result, Brex migrated to Salesforce was able to negotiate a 25% discount on Salesforce Essentials for its members. Brex now uses Segment to attribute its leads and then built a custom, in-house integration between Segment and Salesforce to route inbound leads. The routing is based on matching data attributes between customers that come inbound and Brex’s outbound customer database. The system uses matched information about the inbound lead to determine the appropriate sales path and personnel routing.